Nothing completes your makeup look like finishing touches such as filling in your eyebrows. Not only do they frame the face, but if done correctly, they can open the eye more, lift the lid and give you a finished and more professional look. When I was younger, I unfortunately got extremely tweezer happy and decided to butcher my poor eyebrows within an inch of their lives! It's safe to say they haven't grown back! Because of this, I will rarely leave the house without filling in my brows! 1. I first brush through the natural hairs in my brow, making sure all the hairs are going in the same direction, I do this using a spoolie brush. 2. Due to all the hairs sitting in the direction of growth, I can then see any stray hairs that need to be plucked. I usually pluck stray hairs everyday, I'm a bit OCD when it comes to my brows! 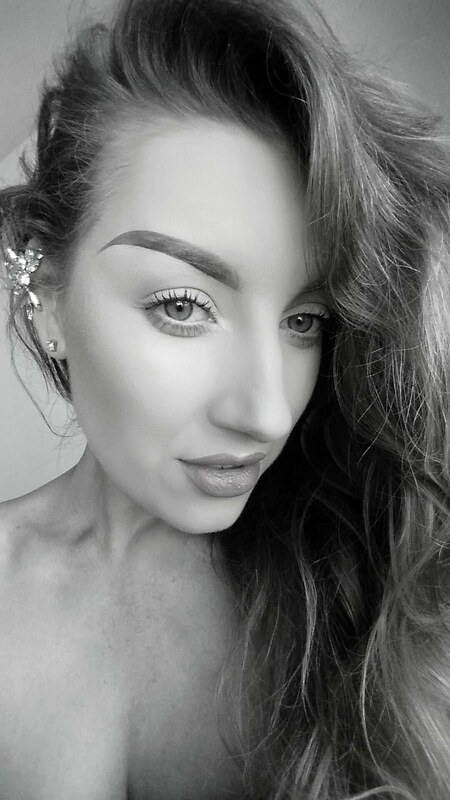 If your trying to grow out your eyebrows, it's best to draw the eyebrow on first and then to pluck around it as you then aren't tempted to pluck any strays that are growing into your natural shape that you want due to them being covered with shadow. 3. Now the brow is nice and neat, I use my Sigma F70 concealer brush and I can now map out where I want my brow to be starting at the arch. The arch is the highest area of the brow before it curves downwards. 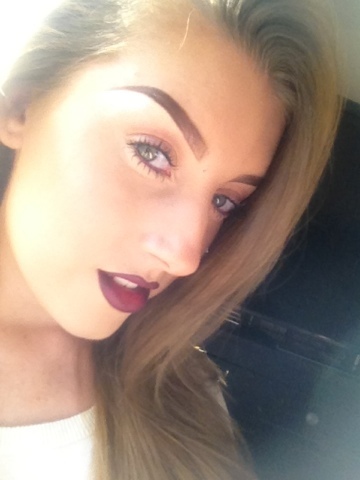 I love elongated brows, so I like my arch to be right above the outside corner of my eye. I use MAC NC20 to do this as it is much lighter in colour to my foundation, so it acts as a highlight to the brow bone. I then use my Sigma P80 flat precision kabuki eye brush to blend the concealer into the foundation flawlessly. 4. Next step is the colour in the brow. I use Inglot 329 chocolate matte eyeshadow as it suits my hair colour. 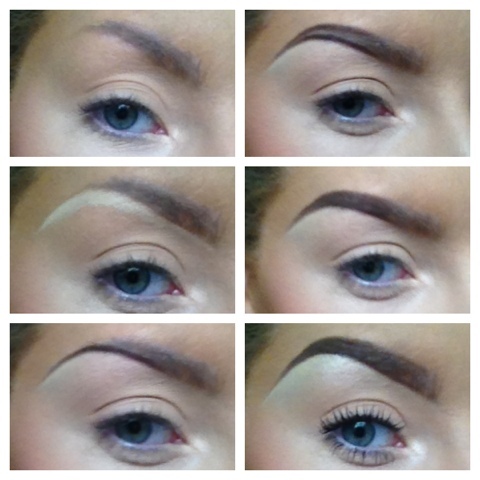 The colour of your brows should always match the root of your natural hair colour. I personally use a brow brush from an old Sephora travel brush set, but any angled brow brush will do. I find real hair brushes hold the product a lot better and prevents too much downfall from the shadow onto the face. I start the shadow at the arch and I carve out the tail of the brow by extending the tail out more than my natural hair, both top and bottom so the shadow meets at the tip.I then fill in between these lines. Then, not leaning as much on the brush so the intensity of the shadow is softer, I define the bottom of the brow inwards towards the nose. This should be in line with your nostrils (you can use your makeup brush along the nose to measure where this is to suit your own personal eye shape). Again leaning lightly, I do the same at the top so I am left with a defined shape. Using the excess product on my brush, I fill in the inner part of the brow nice and lighltly. 5. With the brow drawn on, I then take my spoolie brush again and I brush through the inner part of my brow. To soften and disperse the colour through the natural hairs. 6. I carve under the brow again with my concealer and brush to achieve a clean carving. 7. I then highlight the brow bone using a MAC 239 flat eyeshadow brush and a mixture of Inglot 46 (all under the brow) and 393 (focused under the arch) to reflect the light giving the illusion that the brow is more prominent. 8. I give a light coating is Essence clear mascara brow gel to set and keep my natural hairs in place. And that's it guys! I know it seems like a lot but it'll make a huge difference to your makeup! I'd love to see how you get on! If on Instagram tag me your brows under @missjenifat and #religionrising. See how you get on! !